Ballimony Cottage is a fully renovated traditional property situated within an acre of fenced ground in a stunning location on the Rhinns of Islay.Set in open country side the Cottage has uninterrupted views across the island and the sea to the Irish coast. Its tranquil setting provides the perfect base to enjoy the wonderful wildlife, birds and landscape. There are no near neighbours, so the perfect hideaway is assured yet being ideally situated between the villages of Port Charlotte and Portnahaven allows easy access to shops, services, pubs and some of the best food on Islay. The Cottage is fully heated throughout at no extra cost and sleeps up to five people in a king size room and twin room upstairs and bed settee, situated in the lounge downstairs. A travel cot and high chair are also provided. High quality bed linen and electric blankets are on the beds with matching throws. 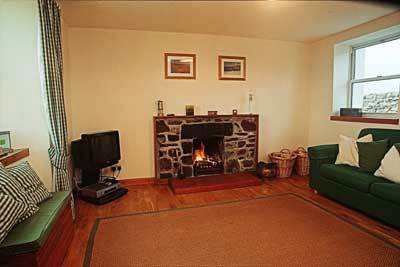 The lounge has a cosy open fire with all fuel supplied. A television, video, cd player and radio are provided with an extensive video collection for those days you just want to stay in. The kitchen and dining area is particularly well equipped with an electric oven, gas hob, microwave, fridge with freezer section, washer/drier, dishwasher and a range of quality utensils and crockery. A shower room with instant shower, bidet, washbasin and toilet is also situated on the ground floor. Fluffy cream towels, all tea towels, and napkins are provided. In addition to being set in an acre of ground there is a walled lawn with shrub borders to the front of Ballimony Cottage. This provides the perfect location to use the gas bbq, wooden table and chairs or simply to sit on the garden bench and enjoy the view. Parking space for several cars is available as well as plenty space to try the outdoor games. Given the unique setting of Ballimony Cottage it will draw those that enjoy the country side, walking and cycling. We provide special facilities to make your stay more enjoyable with an extensive supply of walking, cycling and countryside information including maps and guidebooks. A lockable shed is available to store bicycles and dry wet clothes and boots. An airing cupboard is also available to dry clothes in the Cottage. 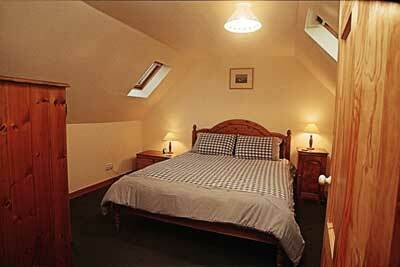 Ballimony Cottage lends itself superbly to striving to be a green Cottage. Wildlife is encouraged with the provision of bird, hedgehog and bat boxes. Those booking the Cottage are encouraged to adopt our green policy and excellent recycling facilities are provided. Many other environmentally friendly practices and materials have been adopted which add to the comfort and enjoyment of a stay. Smoking is restricted. Water for Ballimony Cottage is supplied from its own well. A supply of eco friendly toilet paper, soap, dishwasher tablets, washing powder, washing up liquid and kitchen roll are included. Islay can be reached by ferry and aeroplane. By aeroplane from Glasgow airport the journey takes approximately 30 minutes Tel: +44 (0)1496 302022 www.flybe.com. By ferry south of Tarbert at Kennacraig on the Kintyre peninsula the crossing takes about two hours. Tel: 01880730253 www.calmac.co.uk. A bus leaves Buchanan Street in Glasgow and connects with the ferry to Islay. Booking is advisable. Tel: +44 (0)141 332 7133. Car hire is available on Islay Tel: +44 (0)1496 30 2300 as is a local bus service. The Cottage can be reached from the ferry terminal at Port Askaig by heading towards Bridgend and taking the turning to Portnahaven. Once at Portnahaven turn right past the small church on the right and head out of the village. After a few miles take a right turn signed Octofad, turn next right. 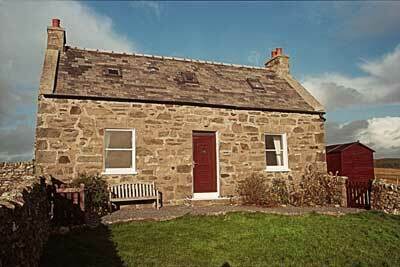 Ballimony Cottage is approached down an incline and across a cattle grid, the name is on the gate. From the ferry terminal at Port Ellen head towards Bridgend and follow instructions above. The same applies if you arrive at Glenegedale airport. On leaving the airport turn left towards Bowmore and onto Bridgend. 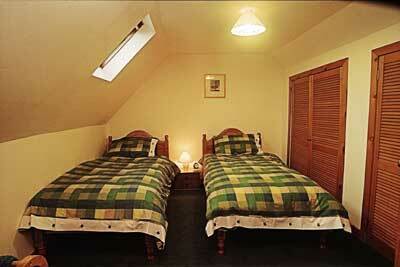 Ballimony Cottage is approximately three miles from shops, pubs and other services. 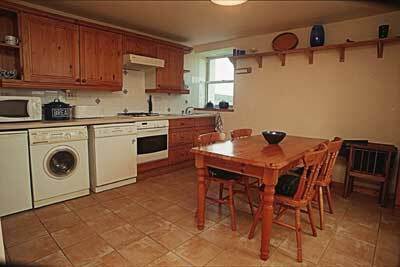 It is available to rent all year round on a Saturday to Saturday basis although this is flexible where possible. Short breaks are available. It is requested that you arrive at the Cottage sometime after 3.00pm and depart no later than 10.30am. If the Saturday to Saturday let and times cause difficulties please get in touch to discuss your needs. A welcome tray of home baking and refreshments will be waiting for you on your arrival. Groceries can also be purchased and delivered to the Cottage in time for your arrival if required. Finally we welcome well behaved doggy friends.